Come Hear GOD Calling You! Here at Calvary Heights Baptist Church, we know that everyone has a story. The beauty of the Gospel is that God sent His Son Jesus Christ to redeem everyone - no matter their story. He is calling out to everyone and He is using His Word to do it. This is why we're so passionate about the Bible and why we love sharing the truth of God's Word. Come hear God calling! Visit our Sermon's Page to access a library of sermons and lessons. 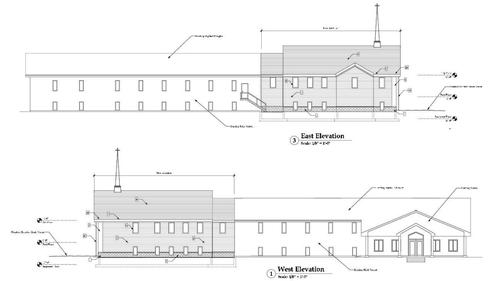 We're prayerfully pursuing a 6000 ft2 addition to expand our facility. 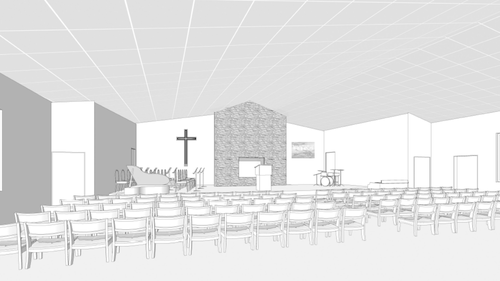 This will give us more seating, more classroom space, more gathering space, more restrooms and a fellowship hall. Come be a part of the growth! You can know HEAVEN awaits you! Whether you're a Christian looking for a church home, or someone full of questions about Christianity, or somewhere in between, there's a seat and a place for you at Calvary Heights.